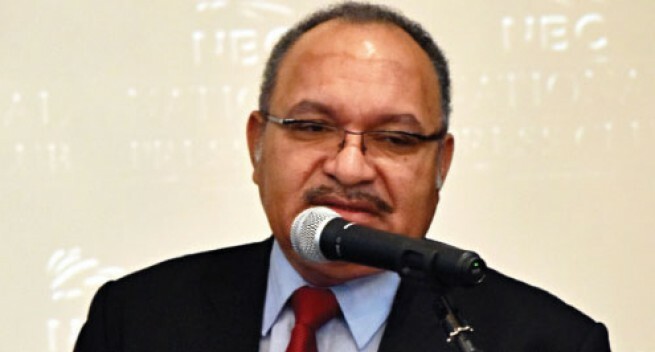 Papua New Guinea Prime Minister Peter O’Neill says the recently concluded International Monetary Fund (IMF) report on the 2016 performance of Papua New Guinea’s economy will be released soon. The Article IV Report was concluded by the IMF last year and confirmed in a media statement it released on December 23, 2016. Primarily the report assesses the state of the economy, particularly the monetary aspects, and aims to assist governments and the Central Bank manage stable monetary and wider economic conditions. Further in instances where things have gone wrong either as a result of external factors such as falling commodity prices or poor management or a combination of both, it (IMF) would recommend remedial action. The non-timely release of the report had drawn some concerns among commentators. Speaking at the inaugural National Press Club luncheon which was held at the Lamana Hotel in Port Moresby, the PM said there was only one issue that Central Bank had relating to foreign exchange levels. Other than that, government was generally satisfied. “We as a government have no issues whatsoever of the report. The Department of Treasury will release the report. As a government we have been very happy to hear from the IMF who have been very supportive of the physical management of our government accounts and the economy in general. “In fact the report is much fairer than we had anticipated so we are quite comfortable with the report,” he said. On the issue of the foreign exchange, the PM said that PNG depended heavily on its resources sector, and the country had no control as a price taker. He said at one stage the US$110 per barrel dropped to US$27 per barrel, and this had an adverse impact on the foreign exchange inflows.